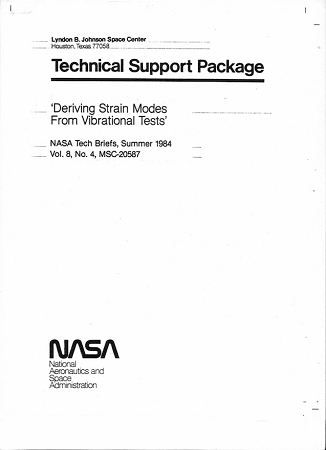 A method of predicting strain using a modal model derived from test data is presented. A modal test is performed, and frequency response functions are collected from accelerometers and strain gages. A combined modal model is extracted in which the eigenvectors included both displacement and strain mode shape coefficients. NASA Tech Brief. 8.5" x 11"